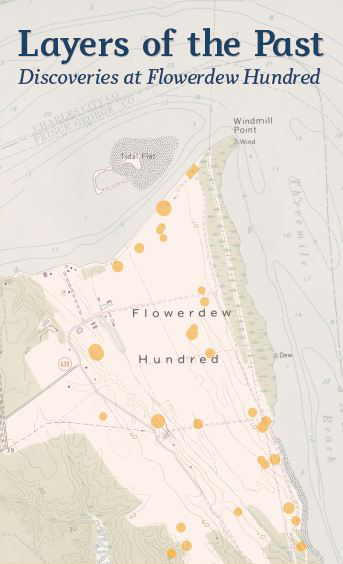 The story of numerous artifacts recovered at Flowerdew Hundred is not a static one--many evolved from their original form or function as their owners’ needs changed. Virginia’s earliest inhabitants continually recycled and repurposed their material world. Virginia Algonquians used and altered the available materials to produce necessary tools. By contrast, colonists brought iron, brass, or copper metal tools from Europe but could not easily replace them. As a result, objects that were of little necessity were modified to meet more immediate demands.